BMW WDS - Wiring Diagram System contains electric circuits for automobiles of firm BMW. The program works with DVD, installation does not demand. 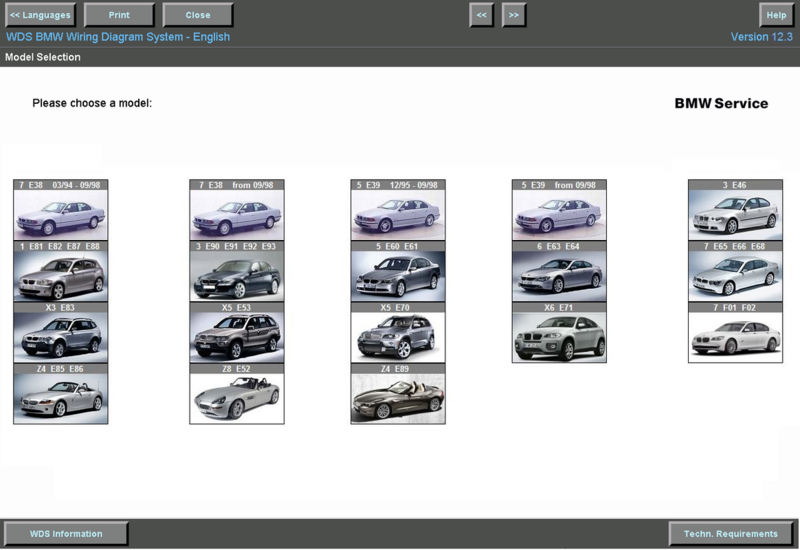 The interface of the program Bmw WDS maximum simple and convenient, supports some the European languages. The program Bmw WDS is simply irreplaceable for the car-care centers specializing on car repairs BMW. 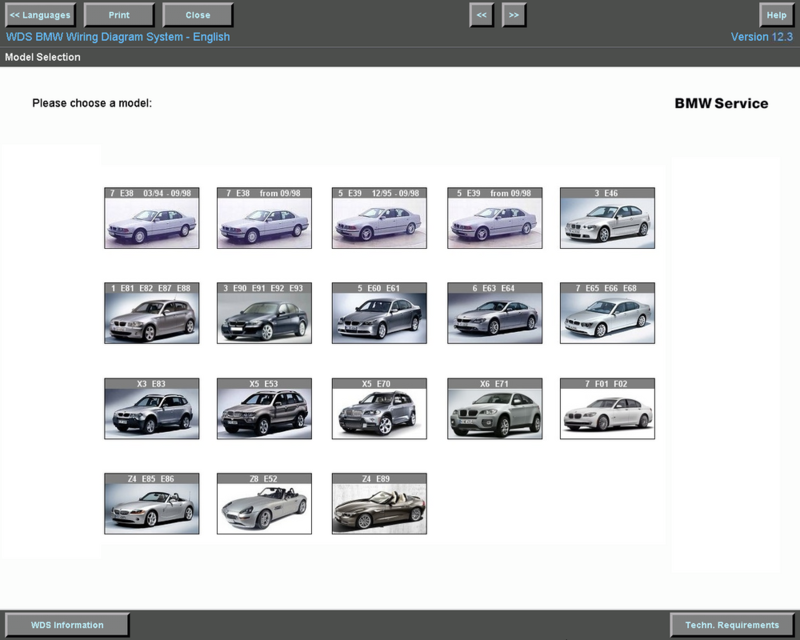 The BMW WDS program contains electrical diagrams for BMW cars since 1994.